Mick; Discovered that this photo is in Forum on 11th Sept.2011 !! I was searching for and found Dan Highton`s 2nd Nov.2012 P-a-D on which the colour of the lake was commented on. Ernest, your statement is a bit misleading, it's hardly the same photo as Nov 2012, and, it may be a different lake, there's more than one up there, have you ever been? Notice Mick's title, 'Lake's', plural. 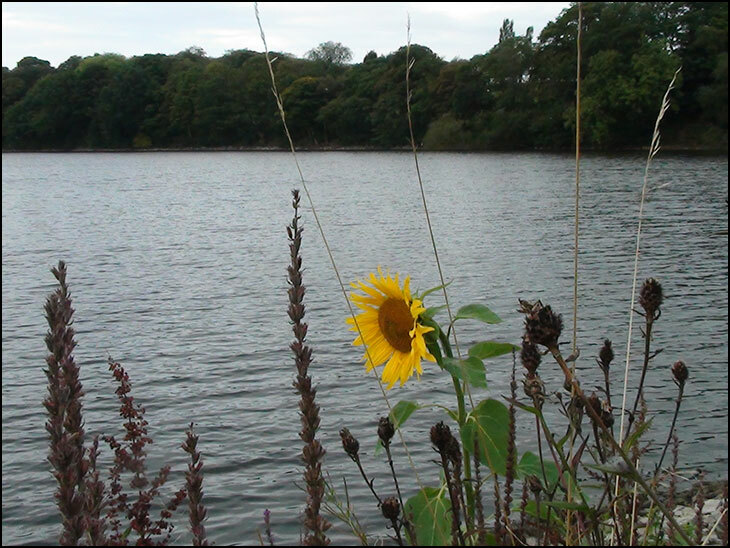 Jonno; I`ve been to Worthington Lakes several times and remember walking there once from Shevington. I used the word lake, in my comment, as Dan Highton`s photo only shows one, which is probably the same as Mick took - the largest of the three I suspect. Been there today and the water level is way down. Nice photo Mick, obviously a completely different sky,than the one referred to by Ernest, makes the lake look it's natural colour. Does make you wonder what difference Colin's HDR would have made if used.